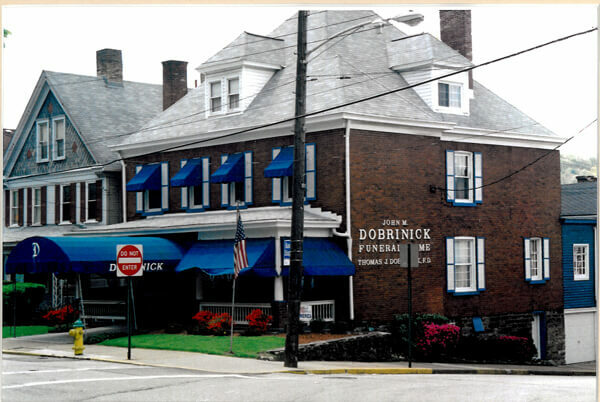 John M. Dobrinick, originally from Jeannette, PA, bought the funeral home from William N. Daugherty in 1974. The location of the funeral home at that time was at 429 Duquesne Avenue in Trafford. John’s son, Thomas J. Dobrinick, became a licensed funeral director in 1994 and joined his dad in the business. They ran the business out of the Duquesne Avenue location for 29 years. The business stayed there until 2003 when M & D Machine Shop (formerly Mikan Motors) was purchased at 702 7th Street, just 3 blocks away. The caring and experienced professionals at Dobrinick Funeral Home are here to support you through this difficult time. We offer a range of personalized services to suit your family’s wishes and requirements. You can count on us to help you plan a personal, lasting tribute to your loved one. And we’ll carefully guide you through the many decisions that must be made during this challenging time.